← No Time to Shop? Give a Gift Certificate! 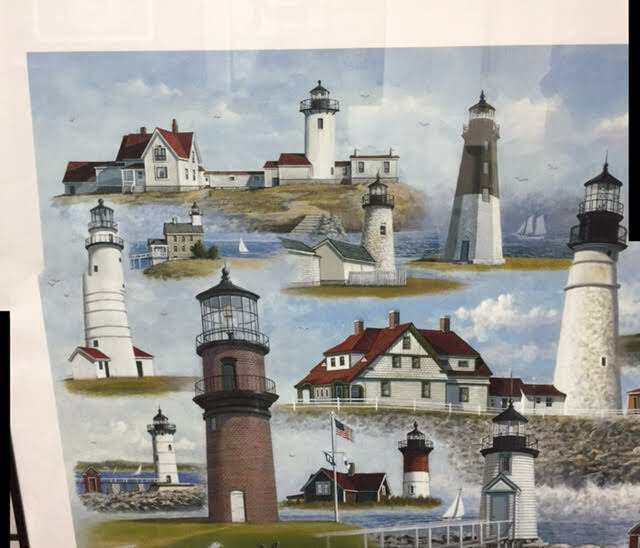 This is a lovely, limited edition print “Lighthouses of New England”, numbered and signed by Maine/New England artist David Merrill. 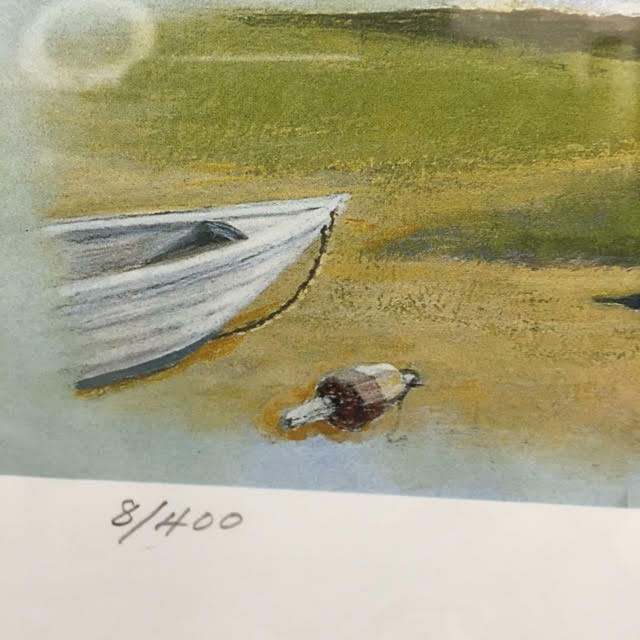 It is numbered 08/400, and is signed by the artist. 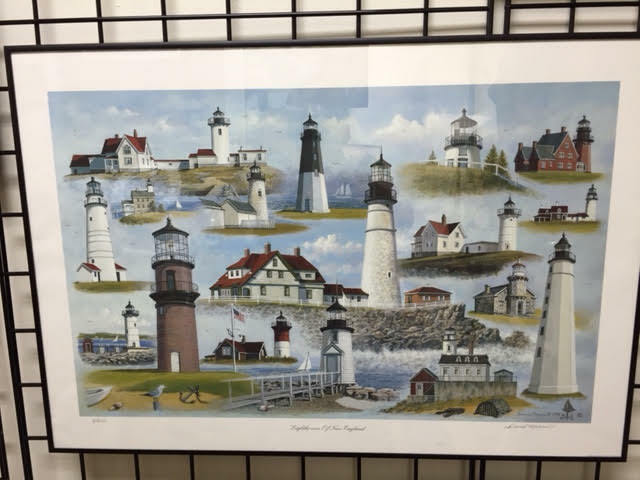 Price: $75.00. 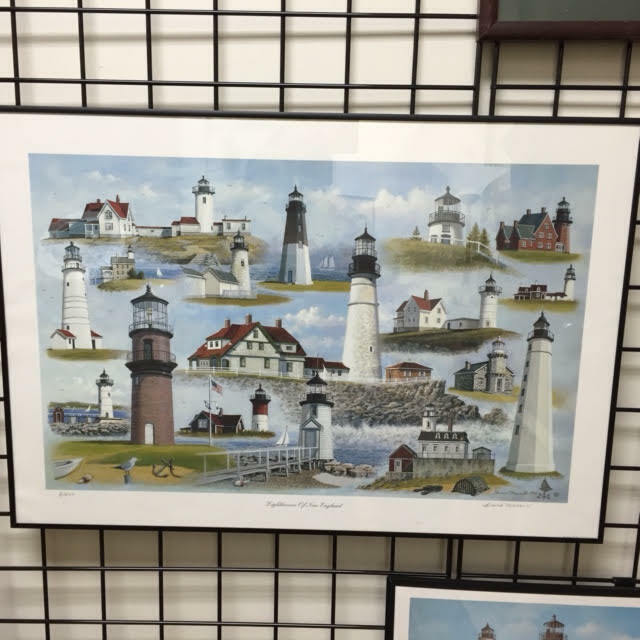 Maine State Sales Tax of 5.5% applies. Thank you to everyone who has supported us since August of 2104! 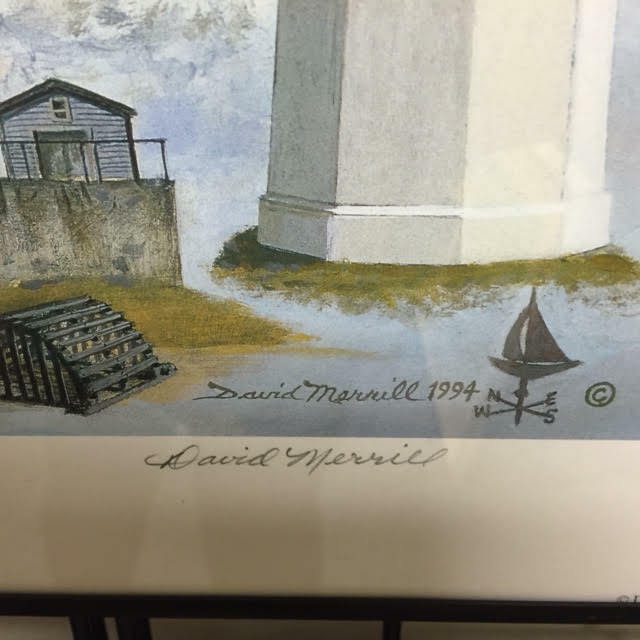 This entry was posted in 1990s Era, Art - Maine Artists, Art - Maine Landscape Artists, Miscellaneous, Project Pieces and tagged David Merrill, landscape, lighthouse, lighthouses, lighthouses of new england, maine artist, new england artist, ocean, sea. Bookmark the permalink.